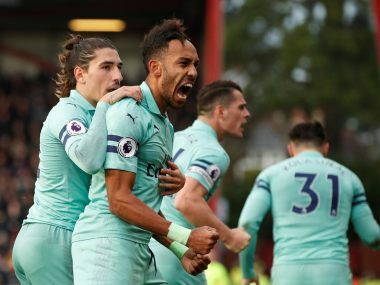 Hugo Lloris saved a last-minute penalty from Pierre-Emerick Aubameyang as Tottenham avoided a third straight defeat and claimed a 1-1 draw with Arsenal in Saturday's North London derby. 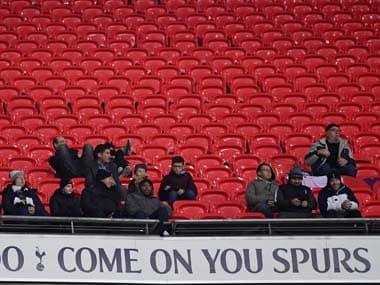 Chelsea supporters have been under the spotlight in recent weeks after a number of high-profile incidents, including a derogatory chant about Spurs supporters that featured alleged anti-Semitic language at a Europa League match in Hungary last month. 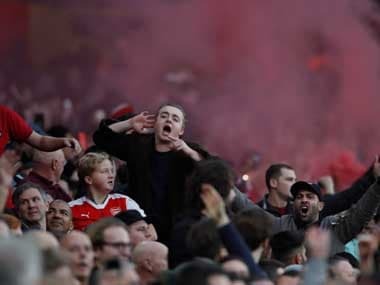 Both Arsenal and Tottenham were charged by the Football Association on Monday with failing to ensure their players conducted themselves in an orderly fashion during the melee that followed Dier's goal. 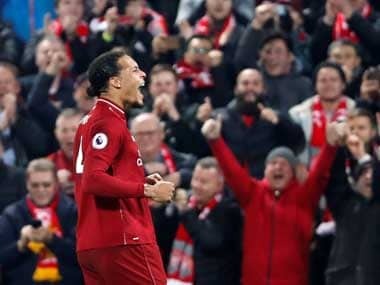 Panteli, who says his only previous brush with the authorities was when he ran onto the Tottenham pitch aged 14 and was ejected from the stadium, said he had been irked by Aubameyang celebrating in front of the Tottenham fans. 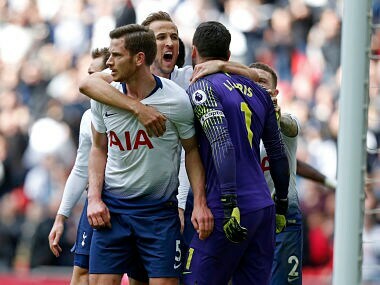 The unrest was not restricted to the stands as Tottenham and Arsenal players had to be separated following Dier's equaliser on a feisty afternoon in north London. 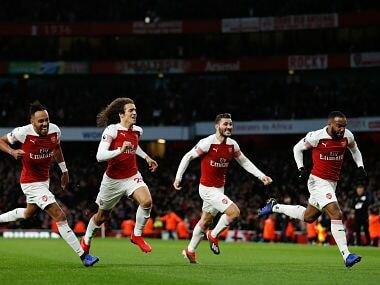 Arsenal are still some distance away from making a case as title contenders, but if this North London Derby was any sign, this new chapter at Arsenal is going to be greatly exciting. 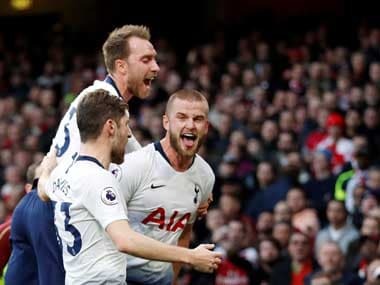 Tottenham travel to Emirates to take on an Arsenal side who have gone unbeaten in their last seventeen matches, in a North London derby that sees two contrasting styles collide. 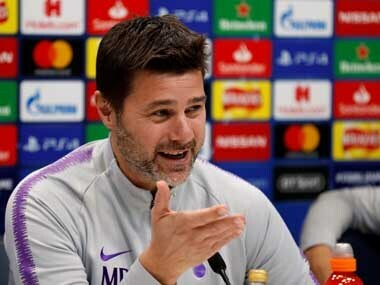 Mauricio Pochettino, who has garnered much praise for the style his young team play although they are yet to win any silverware in his four years in charge, says he is still moved by Emery's generous gesture. Tottenham outclassed rivals Chelsea and followed it up with a Champions League win over Inter Milan to boost their confidence ahead of the trip to Arsenal.